Ventilation, particularly to the subfloor region is important in minimizing the opportunity for termites to establish themselves within a property. Termites are attracted to dark, damp areas so it is wise to ensure your subfloor is well ventilated. and the running cost is between $60-$70 per year. 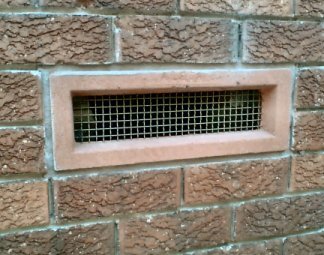 The wall vents come in various sizes and colours to suit your bricks.